Minimalistic cooking mishaps! 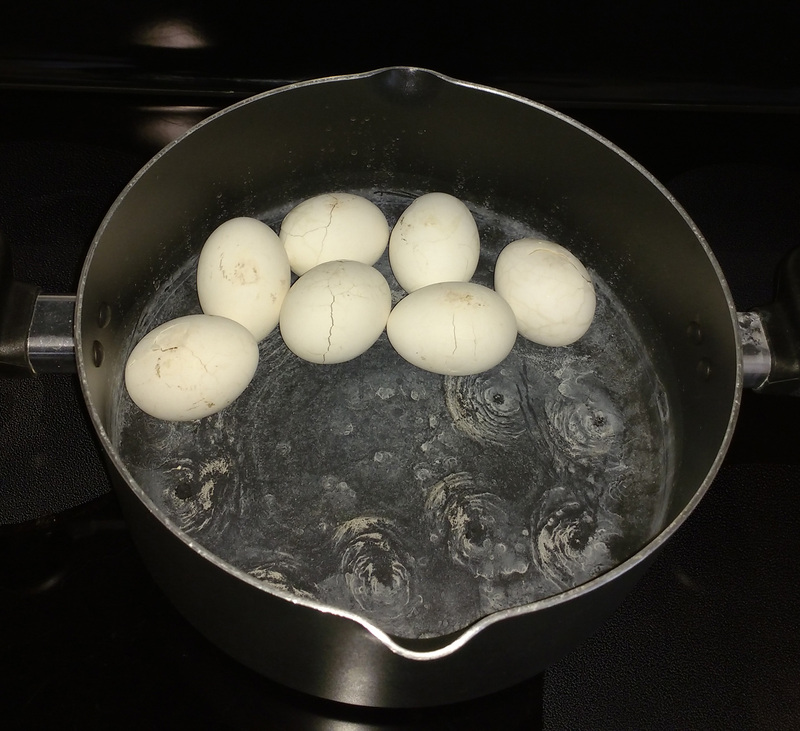 All I wanted was to boil some eggs! Perhaps it's the numerous steps involved, or the inability to focus on something for more than 1.3 seconds, but me and eggs just don't get along! I went to the store and bought a giant shiny pan, in hopes of concocting large quantities of food to escape the daily torture of cooking. 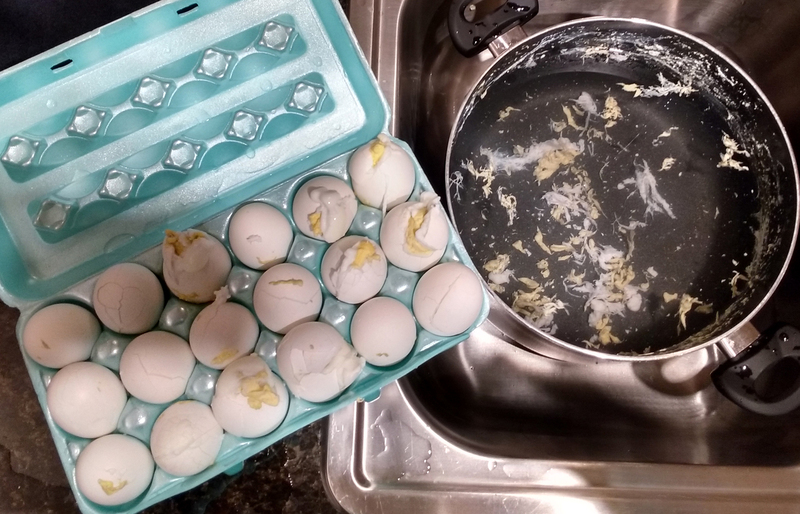 I threw in a dozen eggs and stirred like a seasoned Suzy Homemaker. Five minutes later after transport from the pan, I looked inside and found colorful forever-embedded residue... caused by frying food in a contraption meant only for steaming. This is what it is like to have ADD! Something always seems to happen between the grocery store and the kitchen!